A few weeks ago, a story broke in the news about a creationist working in the Biology Department at California State University Northridge (CSUN), who was fired for pushing creationism in the department. The story exploded across the internet, especially among the creationist organizations who are once again claiming persecution by scientists. CSUN apparently botched both the hiring of this guy, and now his dismissal, so they’ve been sued and this is going to play out badly for them in the courts. But the entire case raises larger issues that are not easily resolved. How many real creationists are there? Which of the following statements comes closest to your views on the origin and development of human beings: human beings have evolved over millions of years from other forms of life and God guided this process, human beings have evolved over millions of years from other forms of life, but God had no part in this process, or God created human beings in their present form at one time within the last 10,000 years. For decades about 44% of the respondents agree to the last answer (YEC), another 37% chose the first answer (theistic evolution, ID creationist), and only 12% favor the second answer (non-theistic evolution). Gallup wrote these questions decades ago before there was much understanding of how the framing of a question can bias the answer, and for decades, they have kept the question the same so comparisons remain consistent. But social scientists know that polls can be very misleading, especially in the way the question is framed to force certain responses. For example, the Gallup poll only gives us three possibilities, and load two of the answers with “God”, which is an obvious bias right from the start. In addition, there is good evidence to suggest that human evolution is the real sticking point, and that most people don’t care one way or another if non-human creatures evolve or not. What if we asked people what they thought about specific scientific ideas, independent of emotional issues like “God” and “humans”? 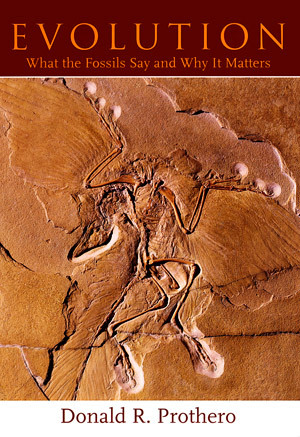 In my 2007 book Evolution: What the Fossils Say and Why it Matters, I detailed the problems with the bizarre view of the earth known as “flood geology.” Originally hatched by George Macready Price, a school teacher with no training or experience whatsoever in geology, he dreamed it up by reading children’s books about geology. Price was a Seventh-Day Adventist, therefore he had to believe in Young-Earth Creationism. Thus, he would create elaborate explanations of how Noah’s flood could explain the entire geological record—or at least the record as portrayed in oversimplified cartoons in kiddie books. If he had ever bothered to go into the field and look directly at the rocks, he might have changed his mind. “Observational” vs. “historical” science? Pure bunk! One of the recurring themes at the Feb. 4 debate between Bill Nye and Ken Ham was Ham’s continuously harping on a supposed distinction between “observational science” (science we can observe in real time) and “historical science” (science that must be inferred from the past). This strange distinction is almost unique to Ken Ham, although I’m sure he borrowed from older creationist writings somewhere, since I remember reading about it when I researched creationism in the 1980s. Nevertheless, Ham kept pounding on it again and again, refusing to talk about any scientific evidence that couldn’t be witnessed in real time. I write this post just a few hours after watching the Ham on Nye “debate” last night. I’m still mulling over the details, and checking on line to see the evolving reactions to the events, but it’s running through my head so much now that it’s time to write it down so I can get back to work. Fittingly, it will post on February 12, Darwin’s 205th birthday. It couldn’t be more appropriate. Tomorrow, as many of you know, Bill Nye “the Science Guy” will take the stage with Answers in Genesis frontman Ken Ham to debate the topic of evolution. For those of you interested, the event may be watched streaming for free, live at 7 PM Eastern on February 4, 2014. But the wider meta-question is not a new one. I thought it might be interesting to share a decades-old argument in favor of public engagement with fringe ideas and their proponents by a pioneering voice for modern scientific skepticism: Carl Sagan. It reminds me that “debating pseudoscience” is, when you get down to it, what skeptics do.